The October Newsletter is available here: http://5il.co/53gq. Don't you just love the cover photo? It is so fun. It also reminds me to let everyone know that a large part of the newsletter as well as some of these posts are taken from co-worker's writings and pictures and re-worked a bit to meet my needs. They know about all of the amazing stuff going on within their walls, and I am grateful they share it with me! 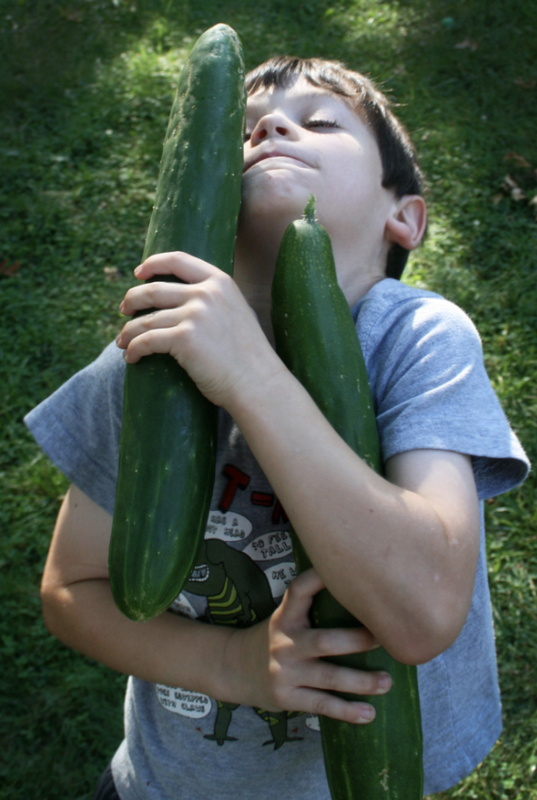 They know who they are, but I feel compelled to mention one here: Mitch Craib, who takes many of the pictures, including the cucumbers, and also writes many articles. My appreciation to Mitch and all of the unnamed contributors!